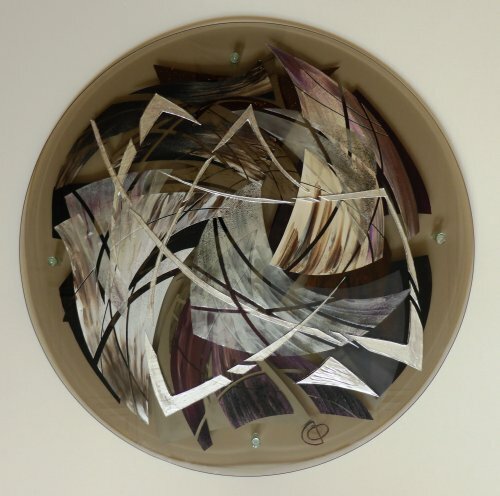 Original painting on a transparent bronze glass panel. It is painted on both sides to achieve a multi layered and three dimensional look. The glass panel is fitted with 4 stand off brackets to the wall creating extra depth and shadow. The colours used and predominantly neutral with added aubergine and purple tones.